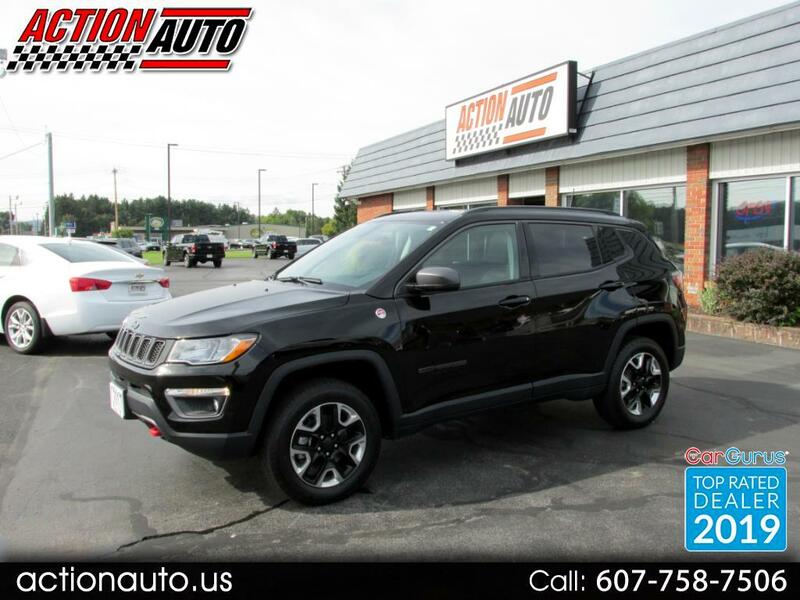 Used 2017 Jeep Compass Trailhawk 4WD for Sale in Cortland NY 13045 Action Auto LLC. If you are looking for a beautiful SUV with options, this one is a must see. It is Black Clearcoat in color with Black Leather Interior, Heated Leather Seats, Heated Steering Wheel, Power Seat, Power Windows, Power Locks, Power Rear Hatch, Steering Wheel Mounted Controls, Voice Activated Telephone, Navigation, Back up Camera, Panoramic Sunroof, Satellite Radio, Keyless Entry, Remote Start, 4x4, Alloy Wheels and much more. Stop in and take a look at this SUV or give us a call at 607-758-7506.